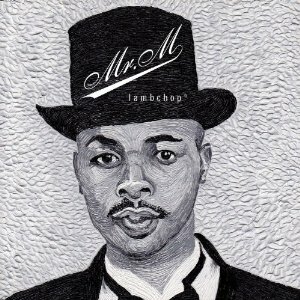 Nashville staple Lambchop’s latest, Mr. M, travels through each of its 11 tracks leisurely. It could be because this release marks the morph-happy group’s eleventh release, or it could be because mainstay Kurt Wagner just needed to deal with some serious curveballs in life, the most serious of those being the 2009 suicide of his close friend and fellow South-based songwriter Vic Chesnutt. In loving memory, Lambchop dedicated Mr. M to Chesnutt, bundling pastoral psalms of sadness enjoyed only sans haste. The best example of that pacing comes five tracks in, with instrumental “Gar.” It pulses lovely and sad. Mounting slickness comes on a like a casino in slow motion, each slot pull and violin sigh taking a pleasant eternity. “Buttons” boasts the same lack of urgency, taking a solid seven seconds before breaking the silence. Wagner seems to only want the listener to tune in if fully dedicated. With Mr. M, the countrypolitan grits-glam continues. Wagner’s voice is the audio equivalent of honey-dipped cracked wheat—as apparent on all Lambchop offerings but perhaps braided here in a warmer, emotionally-constructive way. The album mashes up Wagner’s mixed feelings about Chesnutt’s passing. Gliding through tongue-in-cheek romantic musings in “Buttons,” the next track, “The Good Life (Is Wasted),” entirely shifts tones to deep piety—even guilt over continuing a happy life post-Vic. One can’t listen to this record in a rush, because that’s not what Wagner intended. The swell of strings opening the album in “If Not I’ll Just Die” makes that intended canter evident from the get-go. “Grandpa’s coughing in the kitchen / But the strings sound good / Maybe add some flutes,” he sings in the same song. It’s clear that although Mr. M is perhaps an exercise in catharthis, Wagner will continue to struggle with his former comrade’s ghost long after its release. But to lessen the sting, he just has to stack the flutes.